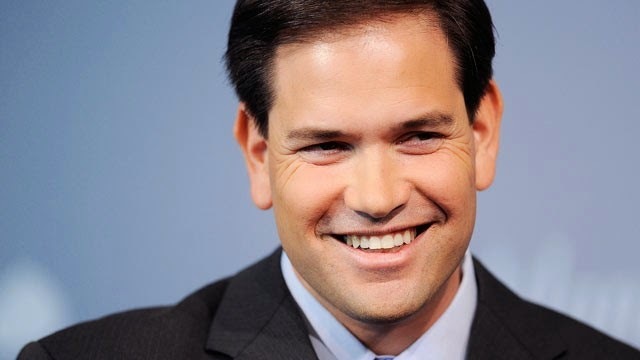 Sen. Marco Rubio (R-Fla.) believes he can defeat Hillary Clinton should the former secretary of state decide to run for president. "Multiple people can beat her. Hillary Clinton is not unbeatable," he said in a radio interview with conservative host Hugh Hewitt on Friday. The Senate Foreign Relations Committee member, who is widely considered a presidential contender in 2016, said he would challenge Clinton on her record at the State Department. "I would ask her the question I would ask her now: You were the secretary of state during the first four years of the Obama administration. Name one significant foreign policy achievement, now or after you left," he said. "The reset with Russia has been a disaster, the Middle East is more unstable today than it's been in I don't know when -- and that's saying a lot -- our relationships in Latin America and democracy has deteriorated in Latin America, the Chinese are increasingly aggressive, our partners around the world view us as less reliable," he said. "Where is the one thing they've done successfully?" The Florida Republican also commented on LeBron James' decision to return to the Cleveland Cavaliers after four years with the Miami Heat. "The way I view it, he gave us four extraordinary years in Miami, a very special experience. And on a personal note, he allowed me, along with his teammates, to share with my sons memories they'll treasure for the rest of their lives," he said.